Meet Enzo. 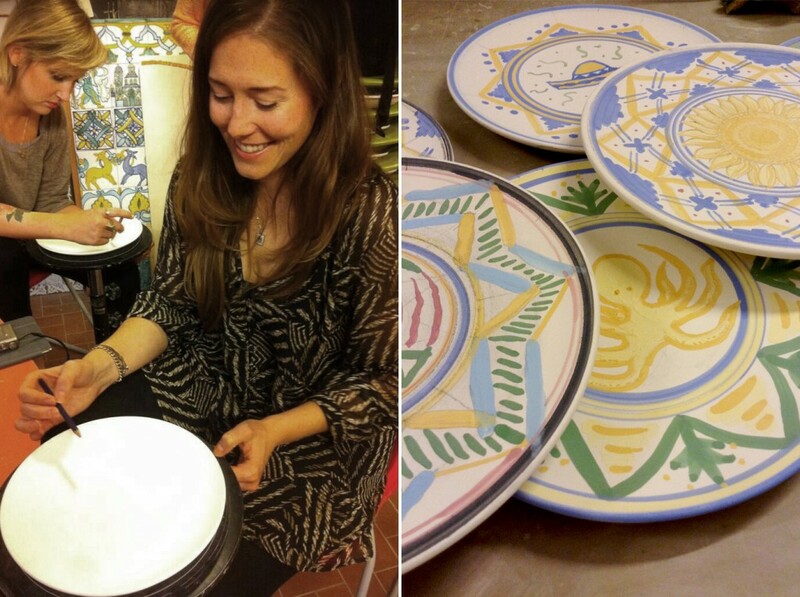 A Tuscan, an artist, a potter. 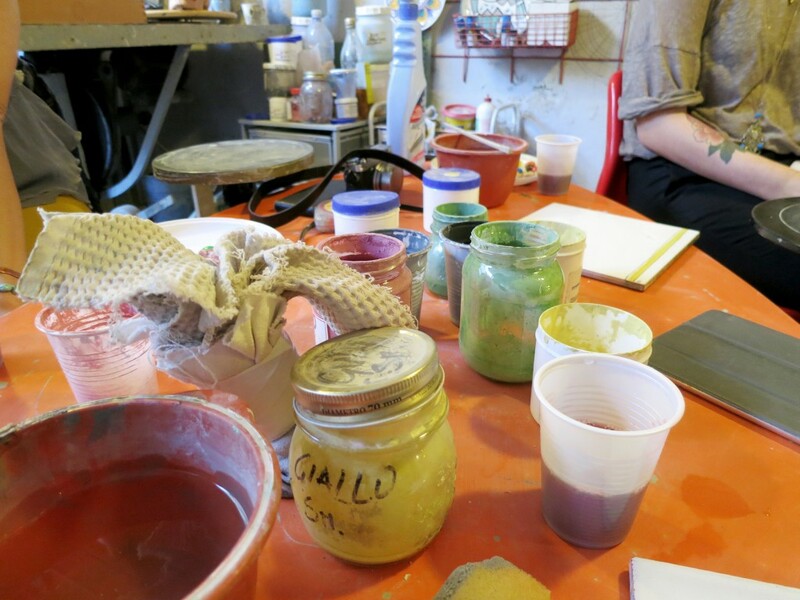 If you’re looking for something different and unique to do, then get your head out of the guide books and join Enzo for some pottery painting in Florence! 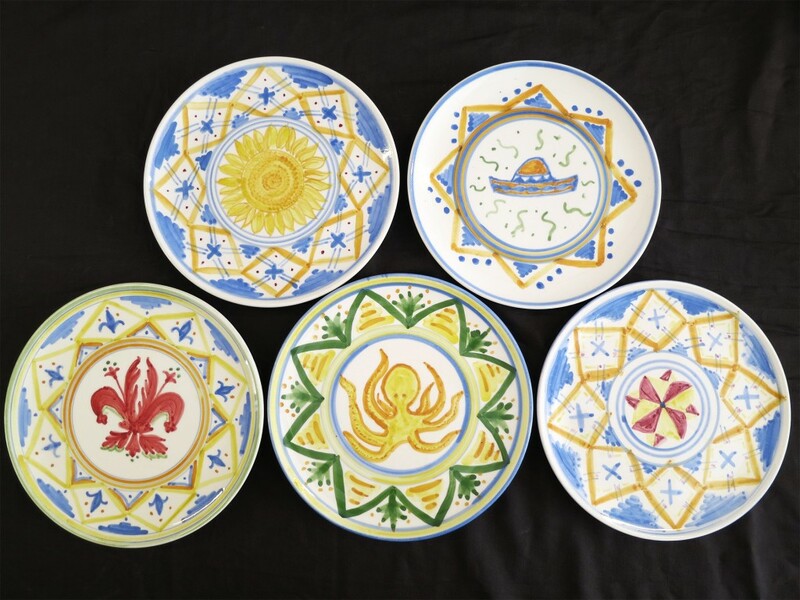 Hailing from Montelupo—the fairytale land of pottery in Tuscany—Enzo decided to leave his day job over 15 years ago to pursue his true calling of painting and pottery making. 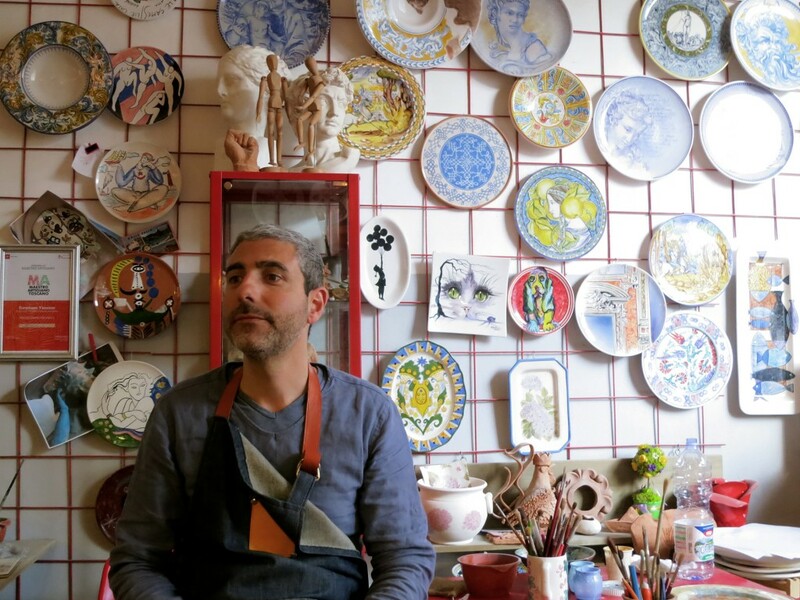 His studio Officina Laboratorio Ceramica is situated just east of downtown Florence on Via Nardo di Cione 6 right off the main street of Gioberti, a street I absolutely love for it’s many boutiques and coffee shops! If you know me or have been to my house you’ll know that I’m obsessed with my hand painted plates. I swear everything tastes better on them. So, when my friend Whitney invited me to tag along on her girls’ night out I had to say yes. Enzo shared a brief history of pottery like what terrain is good for which type of pottery and paint, where the art of pottery originated, etc. I found it fascinating that the love for ceramic art exploded during the Renaissance, or how Enzo put it “people with a lot of money and nothing to buy”. Meaning that with all the money out there people were looking for something different to spend their time on, decorate their homes with and something new to help show off their noble class. After a 101 on how to manage our plates and perfectly center them on the little spinning table in front of us we were off like kindergarteners. You can call this Color Me Mine, The Tuscan Edition! “Hm. Which color? Blue, green, red?” What a commitment I thought! I chose yellow and went from there. Enzo helped us with the basics so that we felt confident enough to start and finish our masterpieces fit for any loving mother or kitchen cabinet. 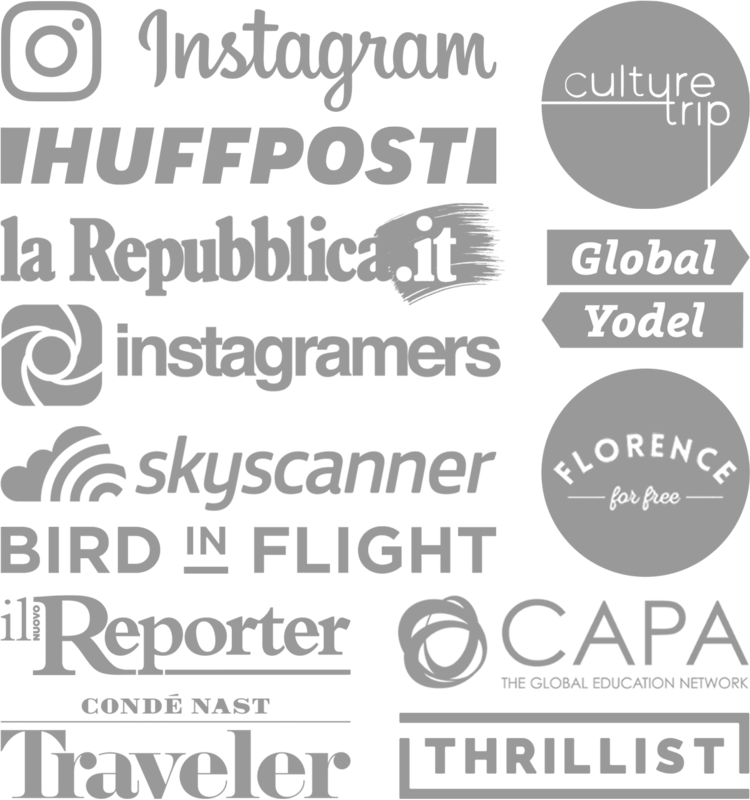 We could have designed anything, but being that it was everyone’s first time we kind of stuck to some basics and then had fun getting creative in the center of the plate. Since I’m obsessed with octopi I decided to try my hand at painting one in the middle, making it a bit more personal. P.S. Enzo has stencils for some beautiful classic designs too. Trying to steady my hand and spin that wheel at the same time. Portrait of me by Studentsville. Besides having fun painting plates with friends—and sipping on wine!—I really enjoyed hearing the history of pottery and all about the paint and different types of terrain where the clays come from. There’s something so calming about painting especially with music. Enzo played DJ a bit and threw us some jazz mixed with random oldies. The room was filled with chatter and then silence as we each drifted off into our own painting daze. I gave my octopus plate to my husband who seemed to have appreciated it since he thought it resembled an alien, thanks Niccolò! Actually, he’s kind of right, perhaps more like an alien in the inferno being engulfed with flames. Whatever it looks like it will soon be smothered with olive oil for the next time we need to bathe some bread in oil before dinner. If plates helped distinguish which class one was in perhaps I would have been of The Noble Fisherman Class, I hear it was quite a notorious class. Notoriously slimy. *For more info on class schedules or to set up your own pottery class for a group email Enzo at officinaceramica@gmail.com. He’s also a fan of Facebook messenger, so connect with him at Offic Lab. And a special thanks to Dawn from I Bike Italy for planning this special night! What’s the best activity you’ve done on vacation? Is this something you would do if you were in town for a few days? haha, I hope you like your alien plate!